In a move that many believed would be impossible until the government perfected zombie technology, both Roy Orbison and Buddy Holly will be going on tour soon—even though the former died in 1988 and the latter died in 1959. Rather than reanimating the actual Orbison and Holly, though, this tour will simply use holograms of the deceased stars, much like the Roy Orbison tour from last year and the upcoming Frank Zappa tour (both of which were hologram-based). 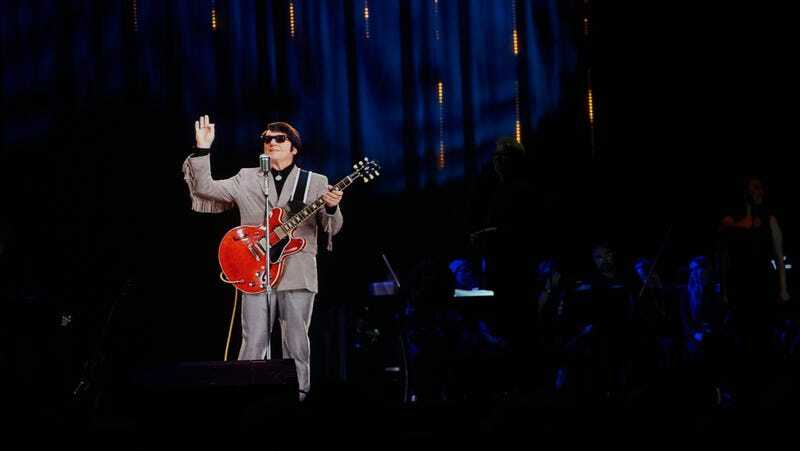 This comes from Rolling Stone, which says the holograms will allow Orbison and Holly to go on “concurrent North American and European legs” of their “Rock ‘N’ Roll Dream Tour,” which means that attendees not only won’t be seeing the real artists, but they also won’t even be seeing one-of-a-kind incarnations of these holograms. The shows will feature a live band (presumably composed of living humans) as well as back-up singers (also probably human) and remastered audio (from a machine, not a human). Tickets for these shows will go on sale on March 29.